Blind Squirrel Games, which is known for co-developing AAA titles and working on remasters like The BioShock Collection, has secured $5 million for its first ever internally developed IP. 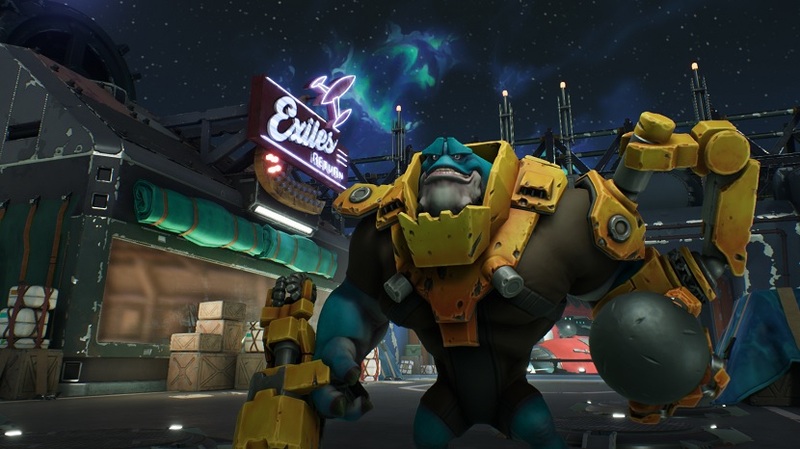 Called Drifters, the free-to-play hero shooter was unveiled last week following a series of teasers that many thought were hinting at either a Fallout remaster or the long-rumored Borderlands: Game of the Year Edition. Drifters is a fast-paced, arcade-inspired five-versus-five action shooter. Players will be looting the galaxy as part of a team of intergalactic raiders that work for a mysterious figure. Luckily, Blind Squirrel found investors willing to fund its first in-house IP. In the past, the studio has co-developed a variety of games including Evolve, Mafia III, Prey, XCOM 2, and Insomniac-developed Microsoft exclusive, Sunset Overdrive. “This [$5 million] is giving us the maximum freedom that we needed as a studio to create and market the game we wanted to build,” Hendricks added. Drifters is in development for the PlayStation 4, Xbox One, and PC. It’s expected to release in the fourth quarter of 2019 in multiple languages.